A beautiful staircase in your home�s entryway affords friends and family a striking first impression. Trinity Stairs has established itself as a company committed to superior quality, exceptional customer support and impeccable service. TSI, an industry leader for over 20 years, stands ready to update or renovate your stair. Give us a call to find out how quick, easy and affordable the transformation can be. 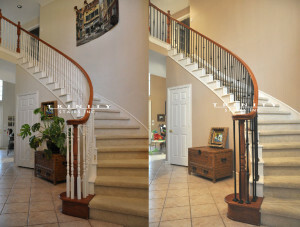 Simple stair remodels can sometimes be completed in less than a day! 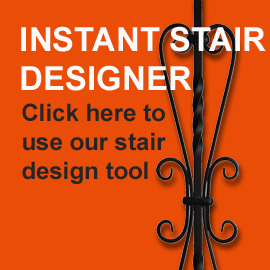 Many customers have been upgrading their wood balusters to decorative iron � this simple baluster replacement usually takes just a few hours and dramatically enhances the beauty of your home. Read our Stair Remodeling Brochure or contact us for more information. 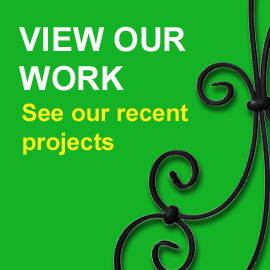 Select from the options below to view different ideas for your stair remodeling project. Note: Trinity Stairs is a service provider and offers custom design, manufacturing and installation services for these products.